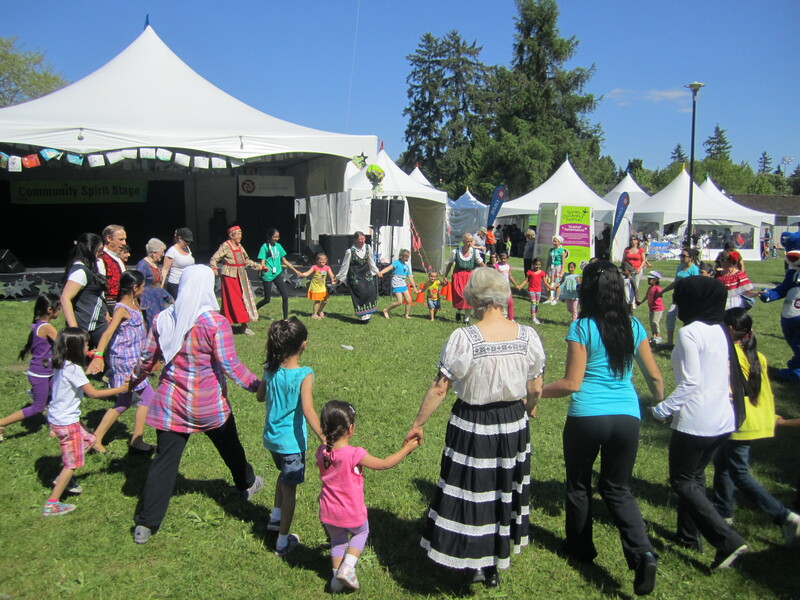 Surrey Folk Dance – Join us in learning folk dances to ethnic music from around the world in a relaxed friendly atmosphere. 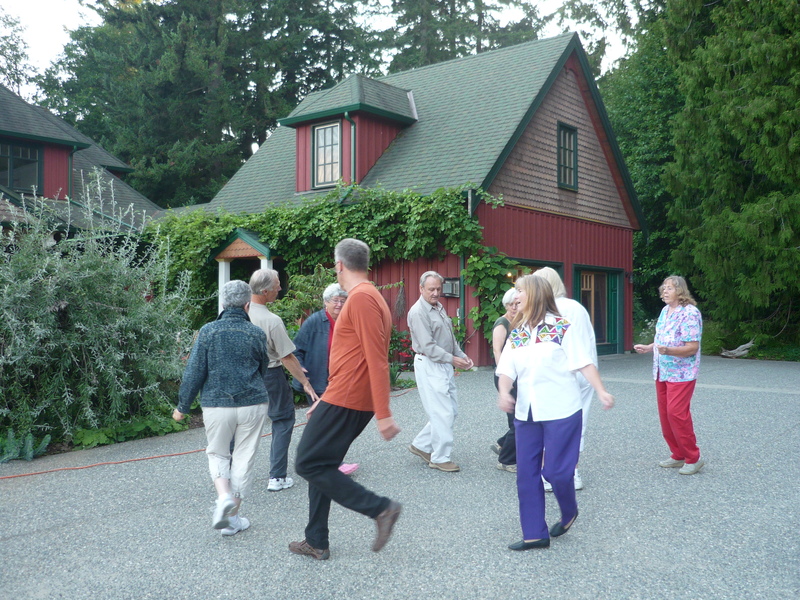 Join Us for Recreational Folk Dance! 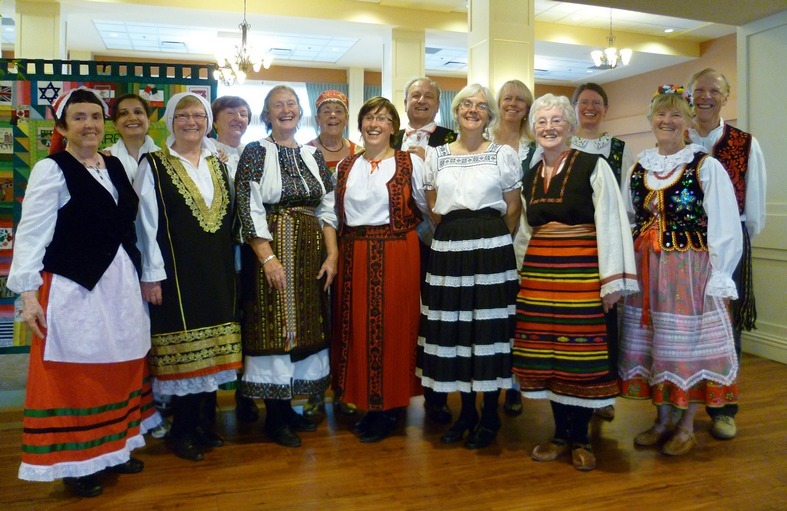 Join us in learning folk dances set to ethnic music from around the world in a relaxed and friendly atmosphere. Along the way, you will have fun, meet new people, be challenged, and get exercise without even realizing it. No partner or costume required. Beginners are welcome. See right-hand side-bar for upcoming dates. 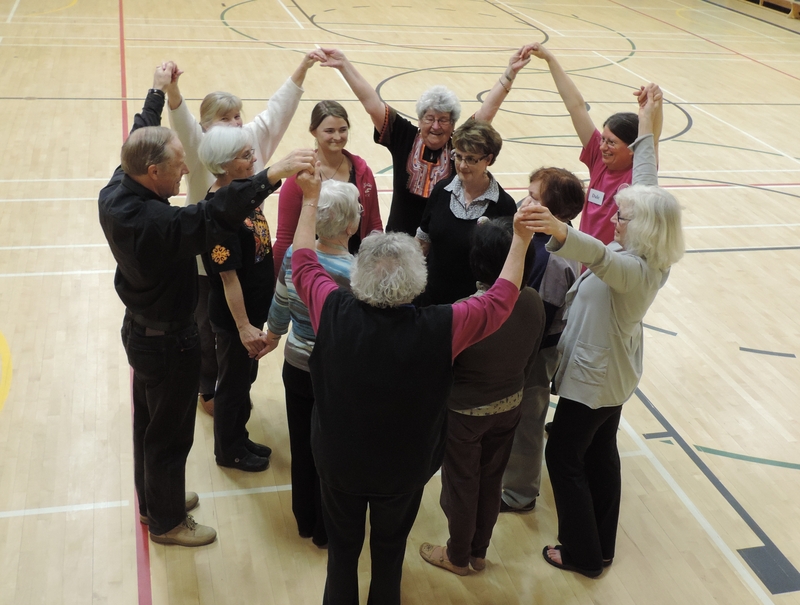 Dancing helps build all the “intelligences“. 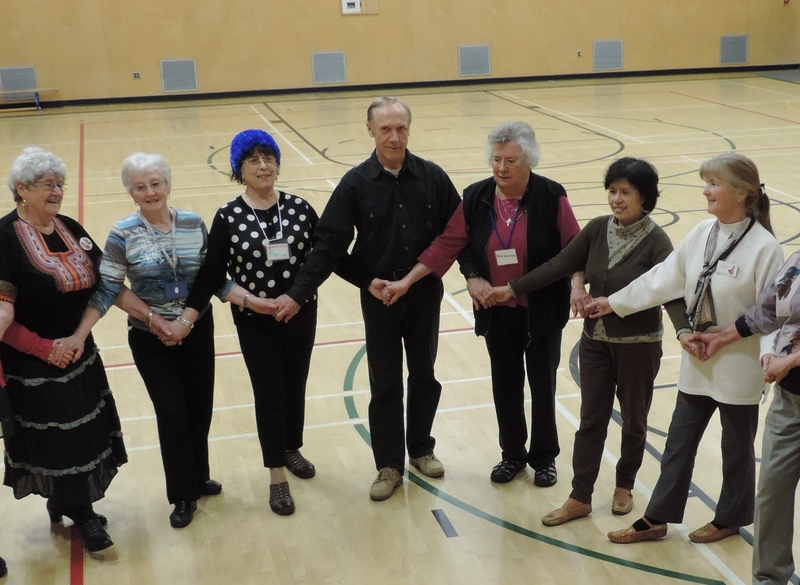 Folk dancing is great exercise for people of all ages. 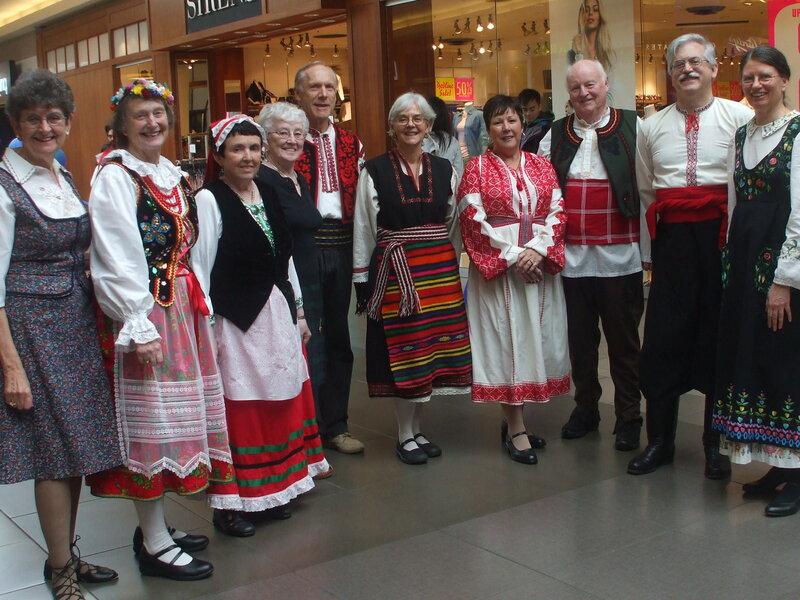 Folk dance is rooted in important traditions that identify who we are. 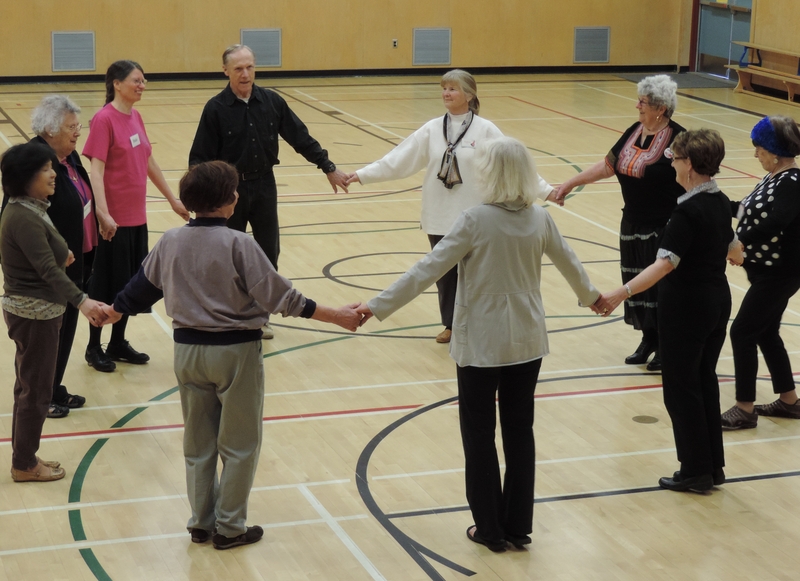 Folk dancing is an opportunity to cooperate, trust, and help others. 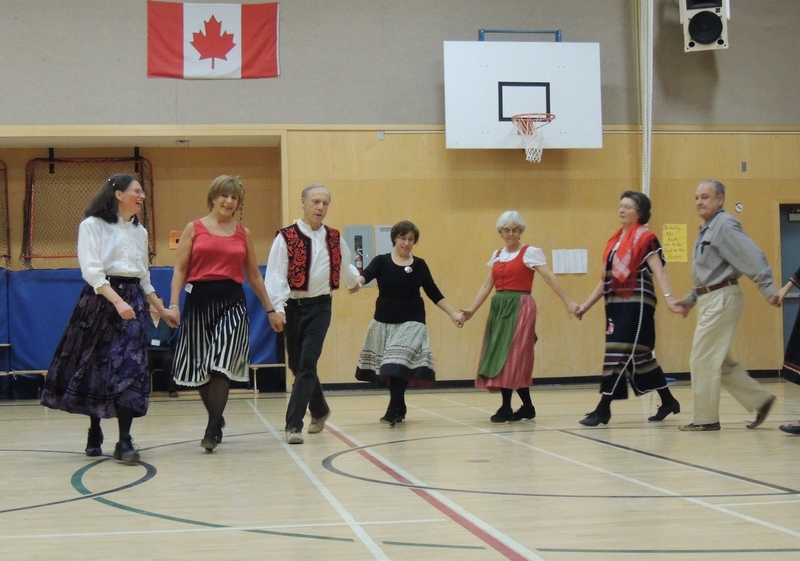 Folk dancing keeps cultural heritage alive. 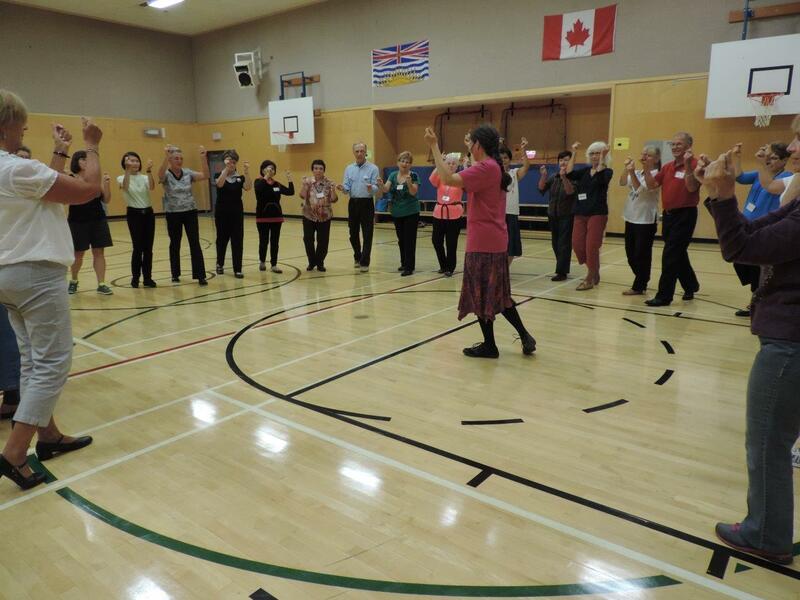 Folk dancing fosters inter-cultural awareness and understanding. 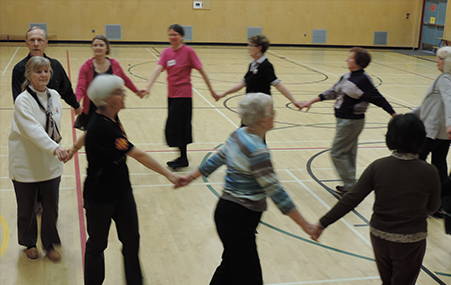 Folk dancing is sustainable and has a low carbon footprint. 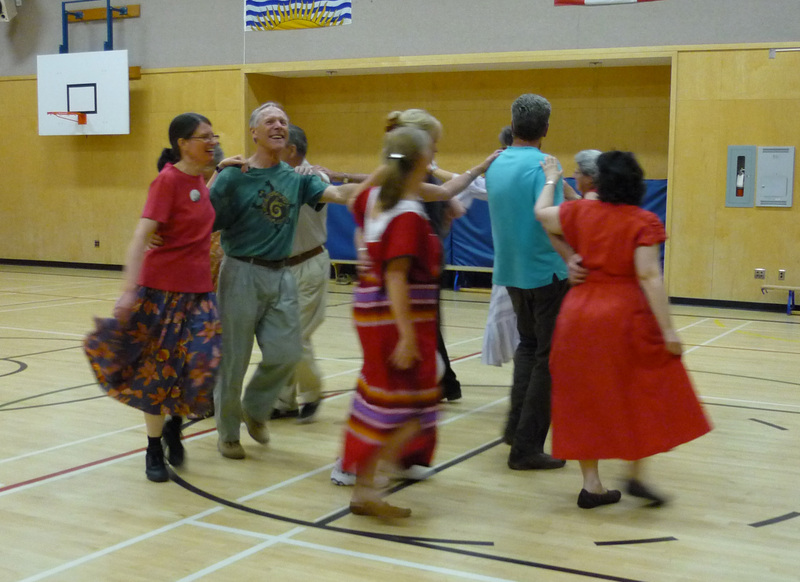 People smile while folk dancing. 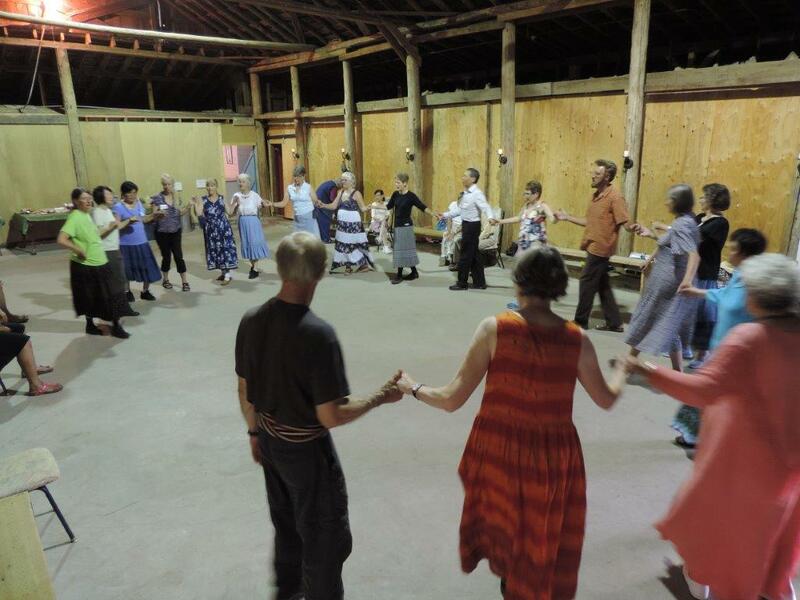 Folk dancing expands one’s experiences when travelling. 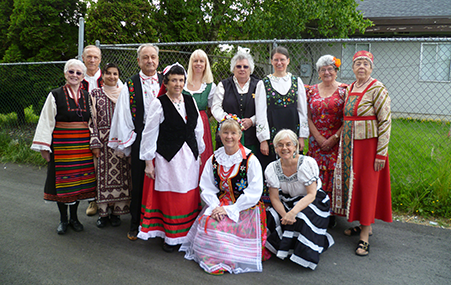 Folk dancing exposes us to diverse musical rhythms and traditions. 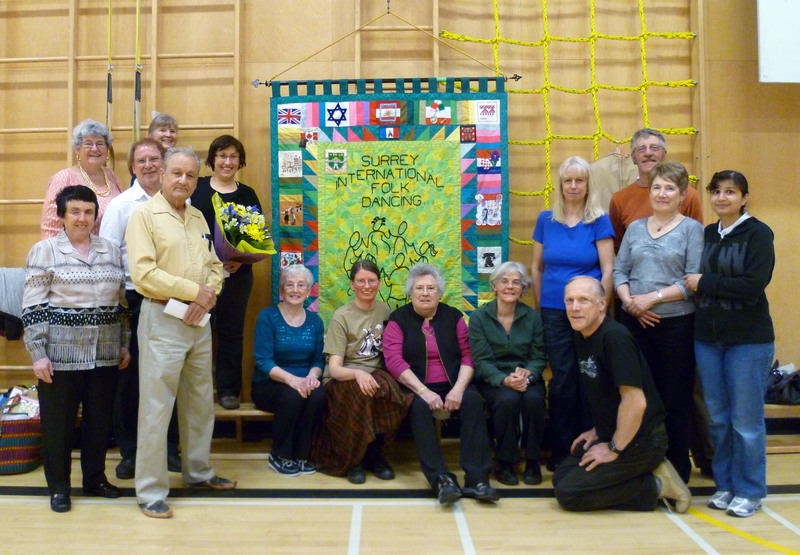 Opportunities for gentility and chivalry abound! 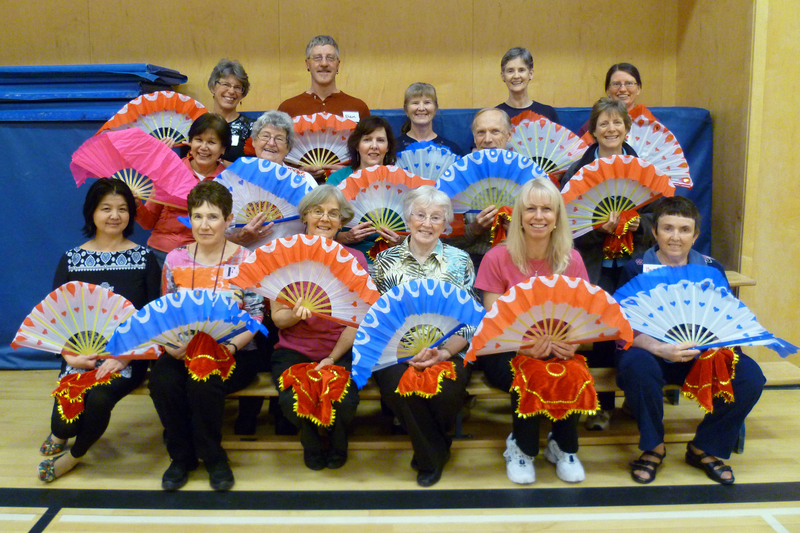 Above list courtesy of Susan Barker of Joie de Vivre Folk Dancers of Ottawa.